Ever dreamt of visiting paradise? Well, now you can. 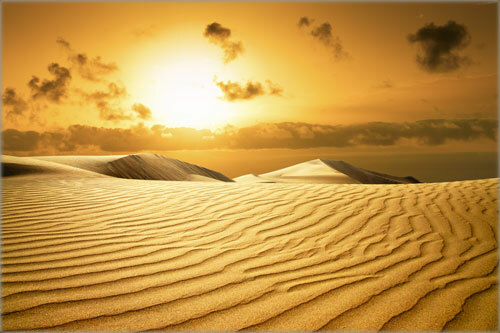 Come to Gran Canaria, and open your eyes. This beautiful island is located in the northwestern coast of Africa, and is part of the Canary Islands archipelago. It has the best climate (20-22ºC average temperature throughout the year), and has dramatic changes in landscape, depending where you go. It is only 4-5 hours away, from northern European countries by plane, so there are no excuses to come and visit. 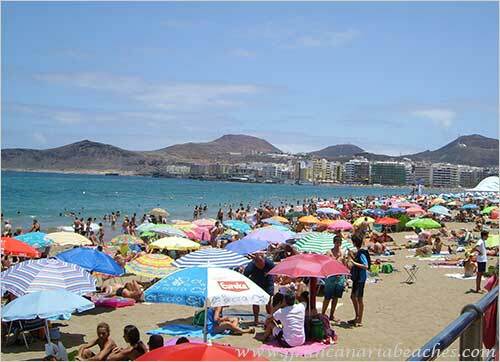 Las Canteras, the world's best city beach, is conveniently located in the capital of the island, and is popular among all the locals who don't want to drive for an hour to the southern beaches, as well as tourists staying in the hotels nearby. 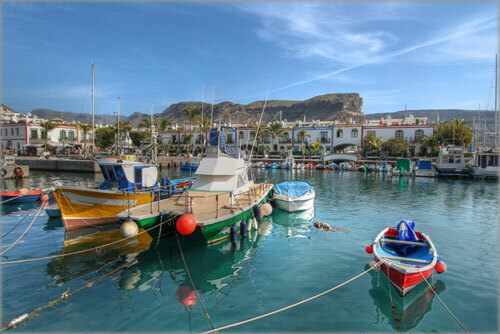 Puerto de Mogan is also in the south of the island, and is a nice "must-visit" picturesque village. It is one of the most beautiful places on the island. Gran Canaria is more than beaches and sunshine. If you go towards the interior of the island, or towards the north, you will see green fertile valleys, forests of pine and other trees, and plantations of banana trees in various parts of the island. There are plenty of activities available that aren't related to lying on the beach all day, like the various golf courses, the world class shopping centers that we recommend, and attraction parks with birds and dolphins. Getting knee-deep into the Canarian culture is another option. You will really enjoy visiting the small typical Canarian villages. If you continue exploring, there are volcanic formations. All the Canary Islands are of volcanic origin, but relax, there has been no volcanic activity in hundreds of years, here. You will see all this, without leaving the island. Did I mention the Gran Canarians ? They're very friendly and ready to help tourists who get lost. "Friendly" means they will approach you if you look lost. "Friendly" means when they help you out, YOU have made their day. "Friendly" means it is normal to speak to other friends by shouting across the street, while cars are passing in-between. Come and experience it, and don't stay stuck in your hotel with other tourists. In this video, made by the Tourism Board, you can see how much fun you can have here. 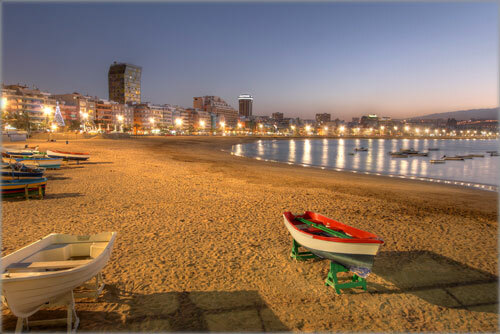 In this fantastic timelapse video by Gino Maccanti, you can see the beauty of the capital city, Las Palmas de G.C. Best is to watch it full screen. 4) Which beaches to go to, and which ones to avoid. 5) How to move around the island without a car, and get back in one piece. 6) How not to get ripped off when buying a house, and what type of contract to sign. 8) What to do in case of emergency: health emergencies, computer emergencies, other emergencies.